It’s like MiddleEasy but for your ears. Thanks to comedians Dan LaMorte, Luke Touma and Diego Lopez episode 24 of MiddleEasy Fight Fist Podcast is here. Hey Fisters, thanks as always for tuning in. On this episode the Fight Fist Crew continues their streak of solid podcasting from a car. 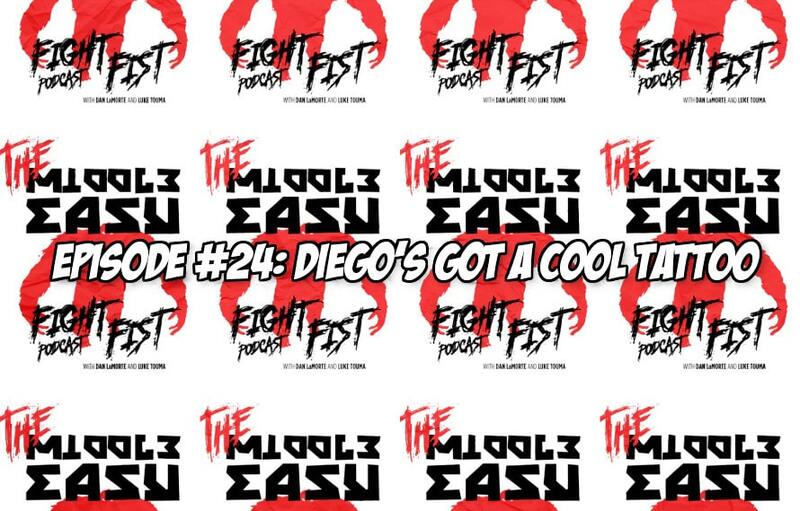 The guys talk about the current MMA news, what’s going on in their lives, discover Diego has a cool tattoo and other things that are totally cool and fun to listen to. Leave a 5-star review and we’ll shout you out on the Pod! Thanks as always for tuning in. Subscribe And Like On YouTube. Subscribe And Shoot A Five Star Review On iTunes.